One day in San Antonio. Saturday morning, our car squeezes into a tight line. Traffic is heavy. Spaces are full. A popular last-minute weekend destination, San Antonio knows tourism. This sprawling big city, punctuated by color and old-world architecture, is synonymous with vibrance and historic charm. San Antonio sits at the crossroads of Texan and Mexican culture. But the mix, deeply layered, is far from new. The roads are old, worn, and curvy (forming a loose grid system). And y’all, there are lots of roads here, each with its own twist and turn. At over 460 square miles, San Antonio seems like too big a challenge for one day. And to be honest, it is. So tonight, we’re trading in our usual Texas two-step for fast-footed salsa. We’re dancing – no, flirting – with San Antonio, Texas. As much I hate spooky spots, I fell in love with the Emily Morgan Hotel. Set in a former medical arts building, this imposing gothic-revival structure bleeds history. The little details draw us in immediately: wrought iron ornaments, Hunchback of Notre Dame-style gargoyles, eerie stories laced within walls (if you are on a Stephen King kick, read this one). Thriving in the heat of San Antonio, the Emily Morgan Hotel is barely minutes from one of UNESCO’s most underrated World Heritage Sites – The Alamo. Check in after a slow drive. Poke around the hotel. Grab dinner on-site. The Alamo ropes in images of old Texas. Battles lost. Battles won. Hope. Loyalty. The full story of the Alamo is more than a Texas legend. It’s a symbol of Texas. 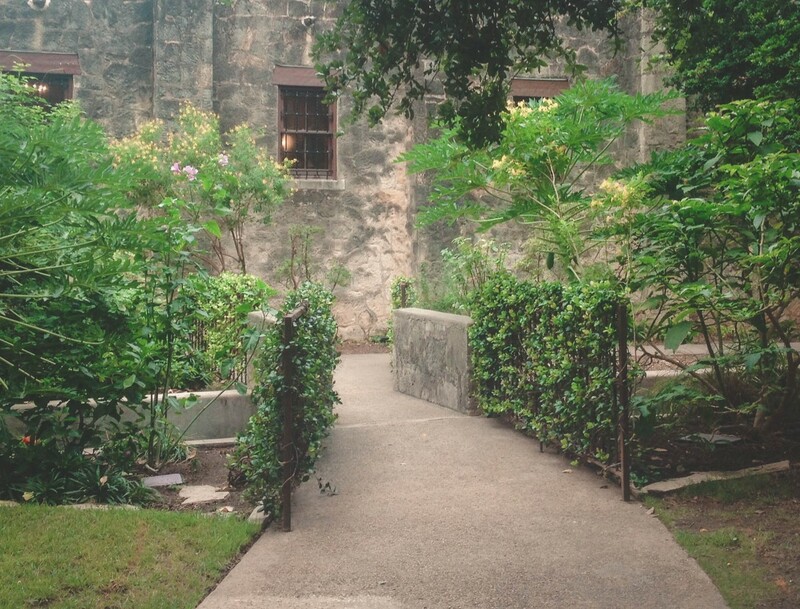 To hit the least crowds, visit the Alamo near opening or closing. The complex takes roughly an hour (or two) to see. So pick up an audio tour and head on in. Casa Rio is one of the best restaurants in San Antonio. 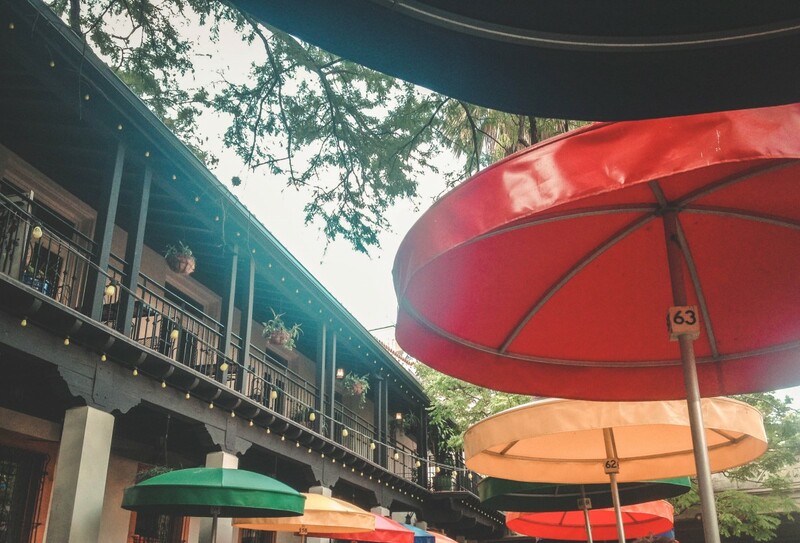 An age-old dining spot along the River Walk, Casa Rio’s claims to fame are good food and iconic umbrellas. You’ve probably seen them on Instagram. Dots of red, yellow, orange, green, and blue color the sidewalk lively. And that’s not the only hint of festivity. Mariachi bands and warm music bring the eatery alive with classic tunes. It’s kitschy but worth it. Order the drinks. I always struggle to find non-alcoholic drinks while traveling (hence, coffee by the dozen) but Casa Rio makes it easy. The drinks here are cold, sharp, and sweet. Since we’re spending only one day in San Antonio, hopping on a Go Rio Cruise is a must. 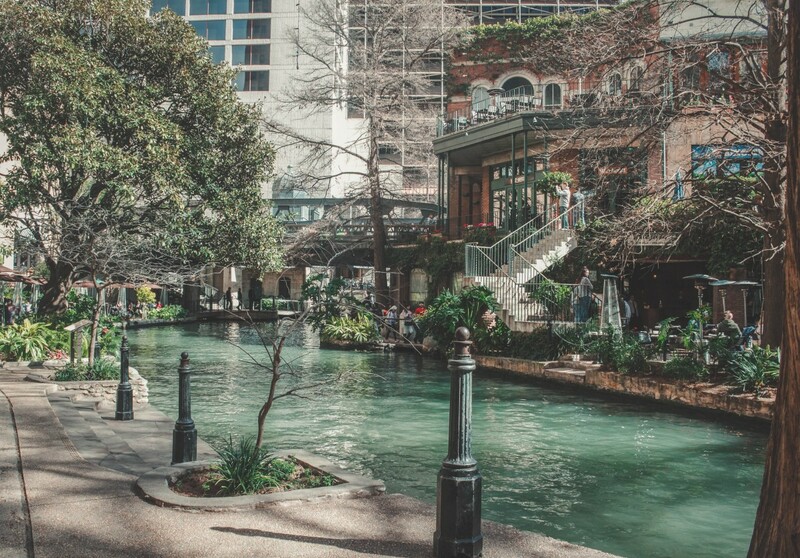 Built around a body of water, the San Antonio River Walk winds naturally. 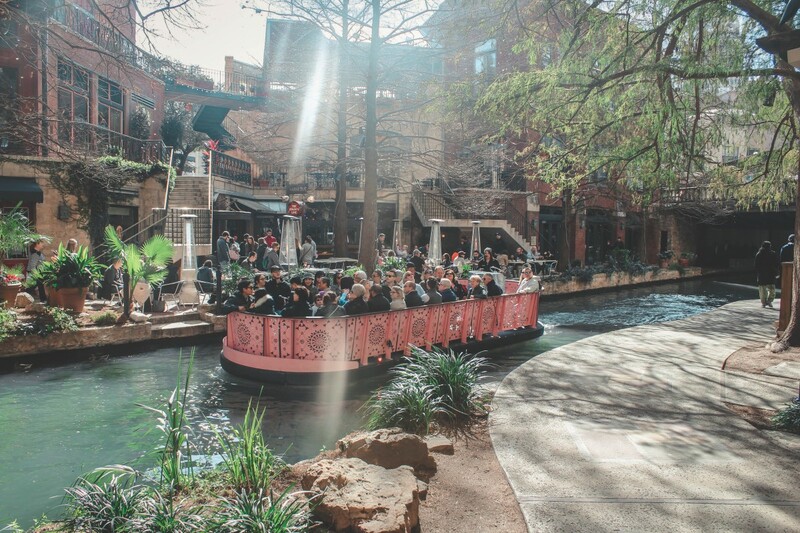 And as it snakes further from the main hub of bars, restaurants, and boutiques, the River Walk becomes harder to navigate in a short span of time. Enter Go Rio Cruises. This 35-minute tour is jam-packed with facts, tips, and nerdy punch lines. 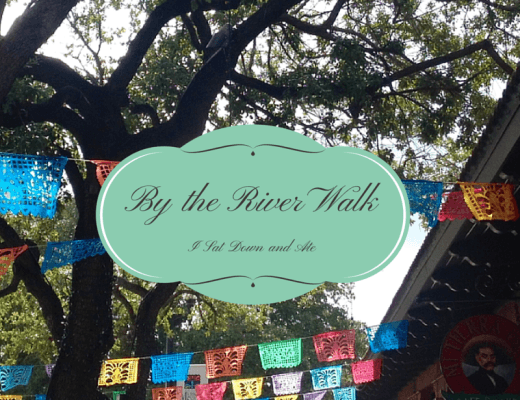 Warning: you’ll get to know San Antonio’s River Walk intimately. Go Rio Cruises stole my heart during my first visit to San Antonio. I found myself nodding along as the tour guide rapid fire narrated the passing street view. My inner monologue: I want to go there. And there. And there. And there. After a ride (during the summer, expect a big wait), block out an hour to see any of the sights that caught your eye during the tour. For me, that hour became two (slowly, three – no shame). More of a shopping complex than a tourist district, Historic Market Square is a magnet for vendors. Colored by Papel Picado, the square is just as vibrant as the rest of San Antonio. And with Tex-Mex eateries, pop-up art galleries, and hand-fashioned boutiques, the walking complex beats to the drum of traditional San Antonio. Stroll through the shops. Buy a souvenir (or in my case, eye three ponchos). Eat at Mi Tierra. Rinse and repeat. 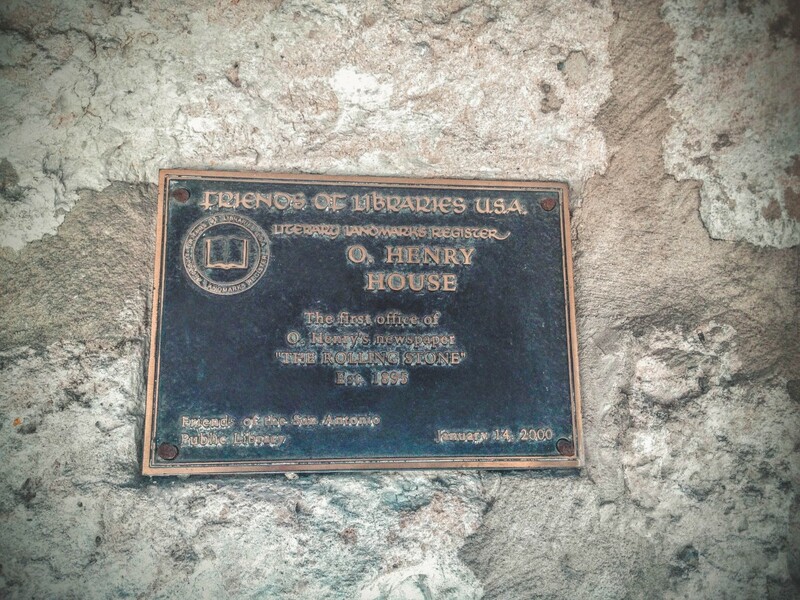 Blink and you’ll miss the O. Henry Museum. Locked within large buildings and small pathways, this historic landmark is easy to overlook. Hours are limited and entry hard to come by but if you’re a fan of O. Henry (*me in all caps*), it’s a way to feel closer to him. I absolutely loved Gift of the Magi and seeing Sydney Porter’s living space made me realize just how much he valued simplicity. Spanish Governor’s Palace: Remnants of an 18th-century aristocratic Spanish colonial town. 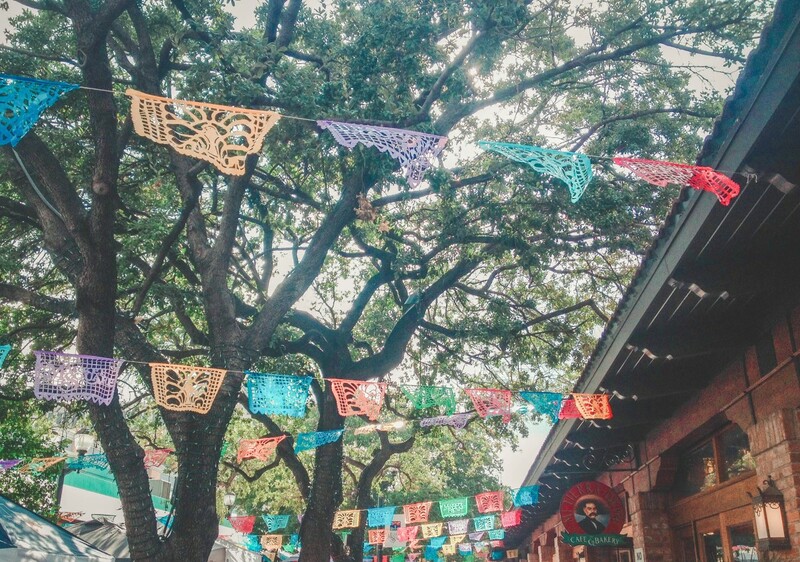 La Villita Historic Arts Village: An early San Antonio neighborhood now Instagram heaven. Briscoe Western Art Museum: Museum that visualizes the story of the American West. 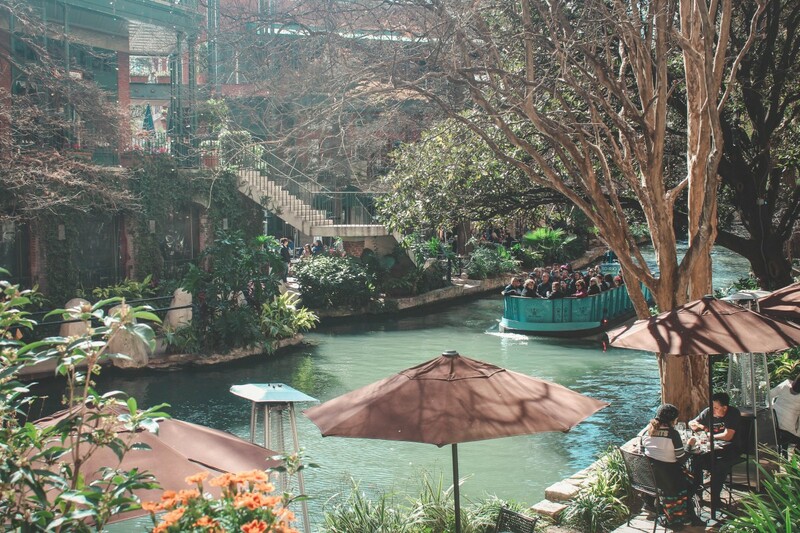 Located at the tip of San Antonio’s River Walk, the Rivercenter Mall is all-American. With large department stores and a classic food court, the mall is worth a visit. 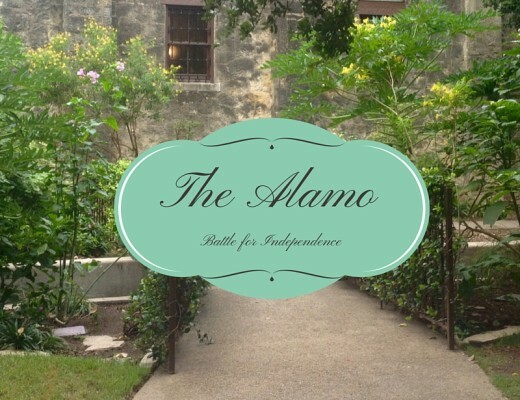 Escape from the tourist bustle and catch an IMAX showing of Alamo: The Price Of Freedom. Rivercenter Mall usually has some Alamo-related movie playing in-theater. So skip the crowds, stretch your legs, and relax with a matinee show. 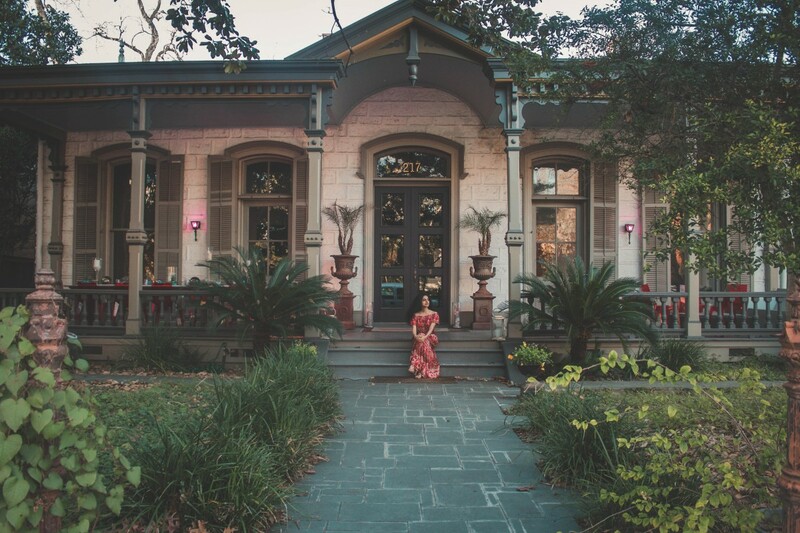 A little south of downtown, the King William Historic District is an upscale neighborhood in San Antonio. The district is peppered with Texas-sized mid-nineteenth century homes. Grandiose. Big. Old-world. King William captures the essence of San Antonio’s architecture – a little American, a little European, a little Mexican – through streamlined design. Walk around the neighborhood. Then hit the park before heading back to the River Walk. 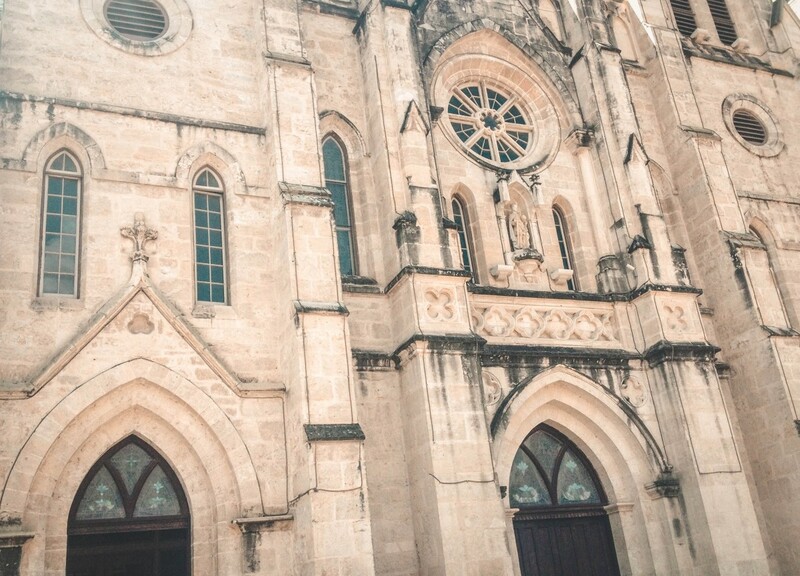 Most nights (Tuesdays, Fridays, Saturdays, Sundays), the San Fernando Cathedral spins the story of San Antonio through art. In a whimsical light show, French artist Xavier De Richemont draws on San Antonio’s thriving art scene in “San Antonio: The Saga”, a 24-minute story painted by color and projections. It’s fast-paced, quick-moving, deeply historic, narrative-heavy, and wildly colorful – basically, San Antonio in a nutshell. 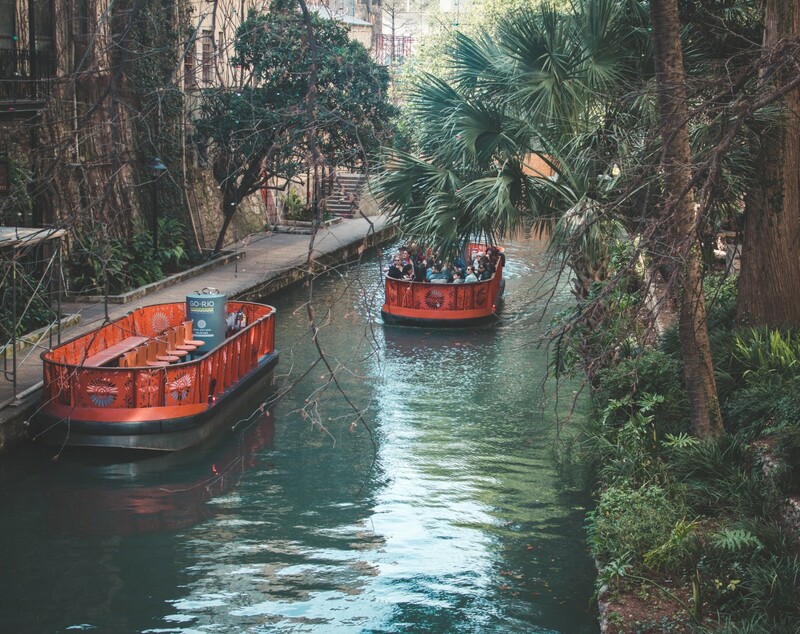 Did you enjoy this one day in San Antonio itinerary? Have you ever spent one day in San Antonio? Let me know in the comments below! What a fun day! I love that historic market square, and never knew about the O. Henry museum.